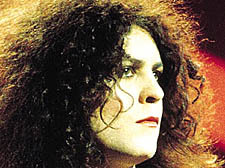 Why is star Marc Bolan still waiting for a Blue Plaque? I’VE got a beef against the system run by English Heritage that determines who is famous enough to be awarded a Blue Plaque outside their home. I just don’t understand why the whole business of selection is run secretly, especially when you consider that the taxpayer covers the cost of the operation. We pay for the salaries of the clerks who administer the system and no doubt, as well, the stipend members of the selection panel draw for their attendance at meetings. This week I was sent by English Heritage a list of names of people, the great and the not-so-great, who were short-listed for a Blue Plaque by a panel on which, for instance, sits the writer AN Wilson who lives in Camden Town. But they didn’t do that voluntarily. I only got the names out of English Heritage with a Freedom of Information (FOI) request, admittedly within two days, but still I had to force it out of them. Why? When, as I have said before, we the taxpayers are paying for it. The only part the public play is in suggesting names of people to be honoured. After that, the public are treated as if they don’t exist. Once, the clerks have drawn up the names they go before a panel that takes its decisions in camera. How different from the days of the Greater London Council that used to run London before Mrs Thatcher killed it off in the late 1980s. Names submitted by the public would go before a committee which met in public – on the last committee sat, among others, the artist Osbert Lancaster and the poet John Betjeman. Nothing was hidden from the public who were encouraged to attend the committee meetings. Today, everything is done in secrecy. Even so, fishing with the FOI application I came across one or two odd decisions. Among names short-listed for a plaque were the great architect John Nash, novelist Anthony Powell, music-hall artist Ben Travers, film-maker Michael Powell and Sir Huw Wheldon who created great art programmes for TV. So far, good. But, strangely ruled out, were the film actor Jack Hawkins, a big name in the 1950s and 1960s, and Emlyn Williams, actor and dramatist whose horror plays, such as Night Must Fall, have become popular repeats on Sky and cable TV. I don’t quite get that. But at least my FOI request drew that explanation, however lame, from the panel. But what about the other rejected names? Why were they dropped? We, the public, will never know – because the decisions are made in secret. A TOUCH of old Soviet realism opened in a Farringdon gallery on Tuesday evening courtesy of Michael Chambers, a former barrister turned successful publisher. Mr Chambers, who lives in Belsize Park, knows a thing or two about what brings in the public as well as art collectors. He knows that Soviet art can go for the sort of price ordinary people can afford – and he knows, too, that collectors are likely to be on the prowl looking for a work that can prove a good investment. Prices range from £150 up to £6,000. During the Cold War Soviet art was dismissed as crude Communist propaganda. You’ll spot one or two of the type of paintings at the gallery that have been much derided over the years – colourful scenes of happy workers toiling away at the factory bench, down the mines or on the collective farms. But most the paintings on display at Chambers Gallery in Long Lane are either beautiful landscapes, portraits in oils, etchings or stunning woodcuts. I spotted some beautifully crafted works – a woodcut of the 19th-century writer Lermontov by Favorsky, a famous Russian artist, an etching of Boris Pasternak who probably sat for the artist shortly before he died in the early 1950s. But Chambers wasn’t at the opening. He was on his way to Shanghai, China, where, I gather, he’ll be on the look out for modern Chinese art to bring back to his gallery. “Soviet artists were looked after by the state,” he said. “If they were prepared to toe the party line, they’d be given a salary and subsidised accommodation. Why are these paintings so affordable? Because so many of the old-school artists, no longer supported by the state, are on their uppers. And shrewd collectors raid their studios, buy their works on the cheap, and bring them back to the West. Sometimes, the raids yield up contemporary style paintings that had been hidden away in bottom drawers safe from the hands of the censors. A man I once knew ran a gallery in Parkway, Camden Town, in the 1990s which he filled with Soviet art filched from studios in Moscow or St Petersberg where desperate artists were glad to let them go for a pittance. * The exhibition runs until February 16. Chambers Gallery, 23 Long Lane EC1. Call 020 7778 1600. IT doesn’t seem two seconds since Borough Solicitor Alison Lowton was hustled out of the doors at the Town Hall with that most familiar explanation: She’s taking early retirement. Never mind the fact her job was deleted in the council’s cuts offensive. But Ms Lowton doesn’t seem to have retired in the normal sense. My friends in local government tell me that she has washed up on the Isle of Wight – not looking for a retirement home, she is 54 – but with a three month contract to look after the council’s legal department.